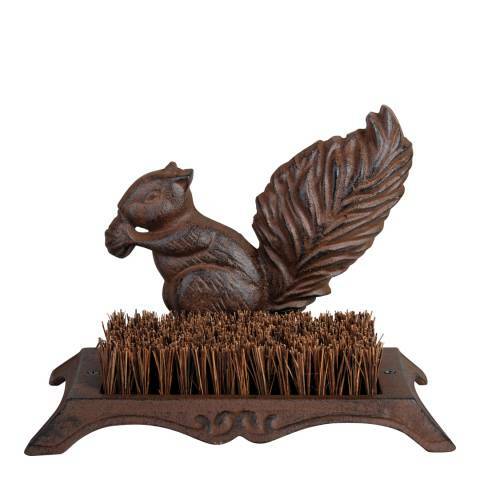 This decorative cast iron squirrel boot scraper would be a stylish addition to your entrance. Ideal for cleaning footwear, the coconut fibres are ideal for removing persistent and crude dirt is removed from the footwear. The cast iron part has been hand cast according to centuries old tradition and workmanship.